We have two sisters with art stories today on Fridge Flash. The first is a logo for a rescued cat café. Who wouldn’t want to hang out at a cat café? The second is a depiction of a sugar skull, a popular decoration/treat during Dia De Los Muertos or Day of the Dead. Enjoy! 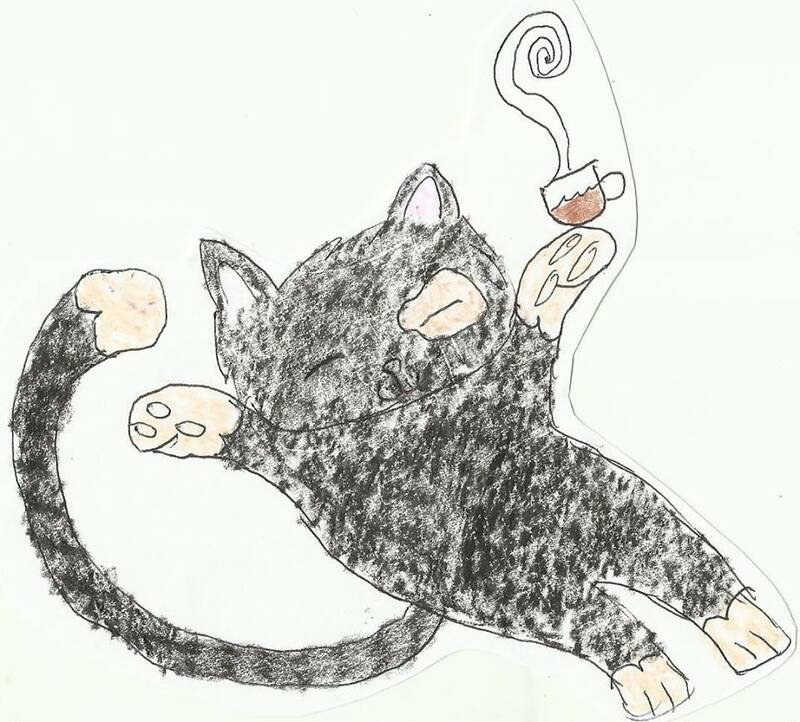 “Cat Cafe” is by Sigourney, who is 11. She is a 5th grader who attends the Spanish magnet program at Hillcrest Elementary School in Orlando, Florida. She loves all forms of art, but her family likes to say of her, “if she’s not singin’, she’s dancin’; if she’s not dancin’, she’s singin’.” Sigourney thinks she might want to be a veterinarian some day. 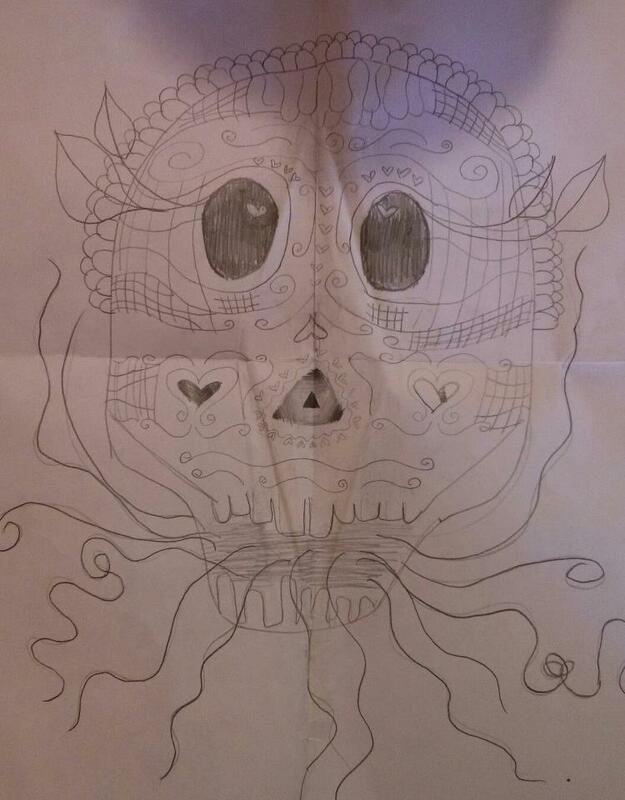 The Day of the Dead piece is by Amaya, who just turned 13. She is an 8th grader at Howard Middle School Academy for the Visual and Performing Arts in Orlando, Florida, where she majors in musical theatre. Amaya loves all forms of art, but her aspirations are to be a singer in a musical on Broadway. Right now, she’s playing the Goddess of Love, Erzulie, in Once On This Island, Jr., at Howard. This entry was posted in Fridge Flash. Bookmark the permalink.